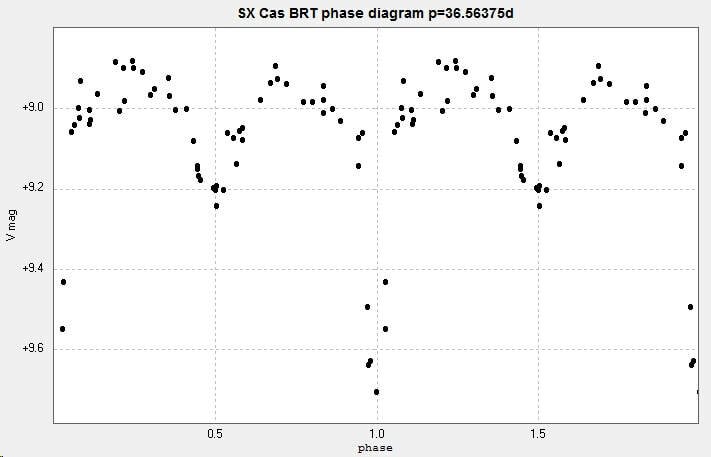 Light curves and phase diagrams of the EA type eclipsing binary SX Cassiopeiae / SX Cas. 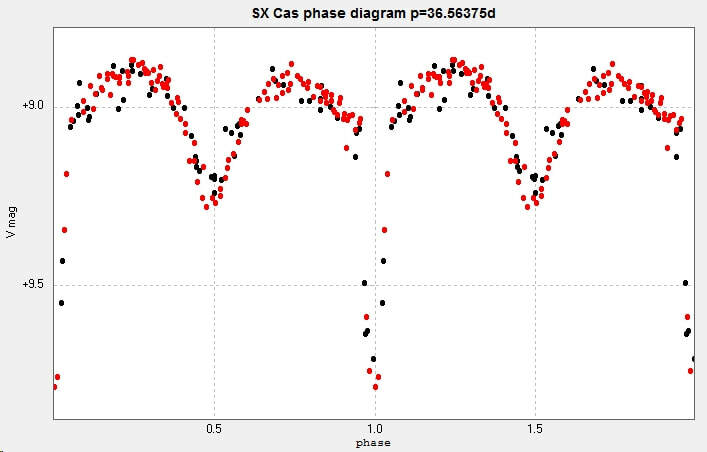 The first light curve and phase diagram were obtained from 59 images taken with the Bradford Robotic Telescope Cluster Camera between 2014 August 4 and 2016 October 1. 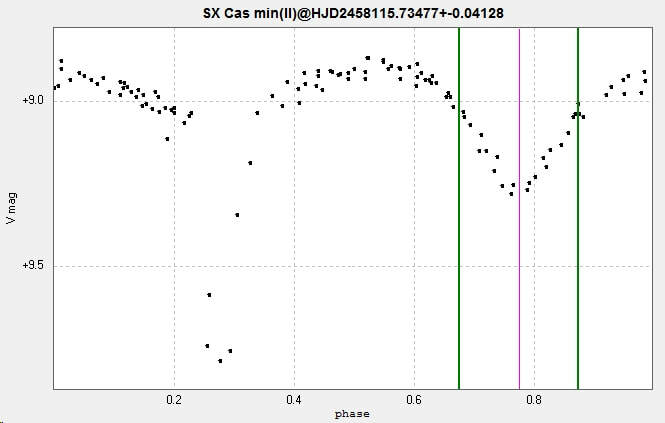 The images were taken through a tri-colour green filter. 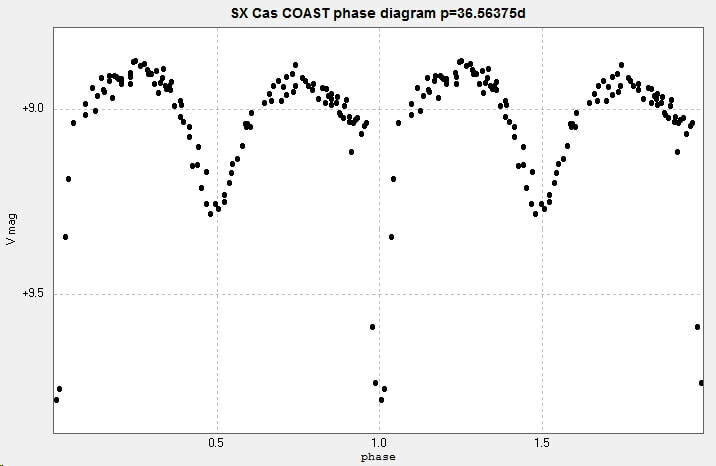 The next light curve and phase diagram were obtained from photometry of 116 images taken with the Open University COAST telescope (a 14" Schmidt-Cassegrain) between 2017 July 6 and 2018 January 25 through a V filter. 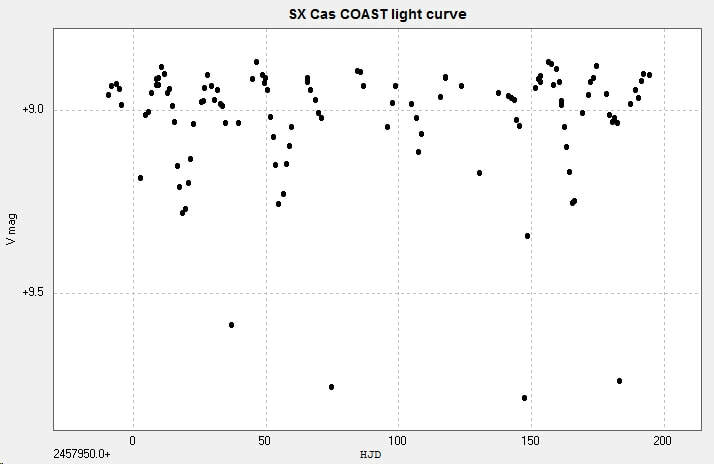 There aren't many times of minima recorded on Kreiner, so the following minima were calculated from the COAST phase diagram, acknowledging the limited number of data points contributing to the primary minimum. 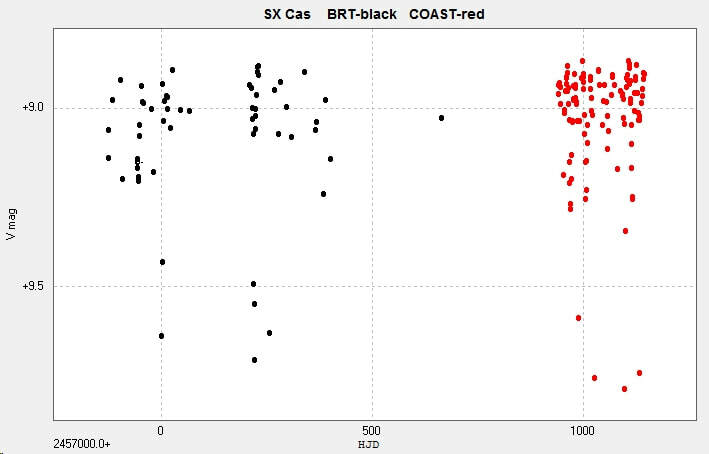 Combining the BRT results (in black) and the COAST results (in red) resulted in the following light curve and phase diagram. 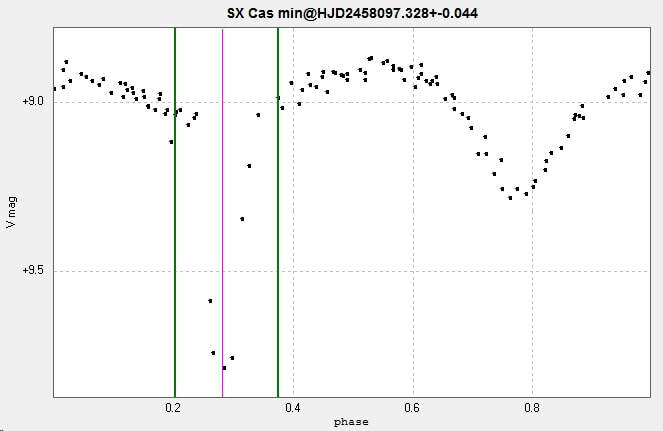 There is some evidence of o-c activity (Kreiner), but the data is sparse. 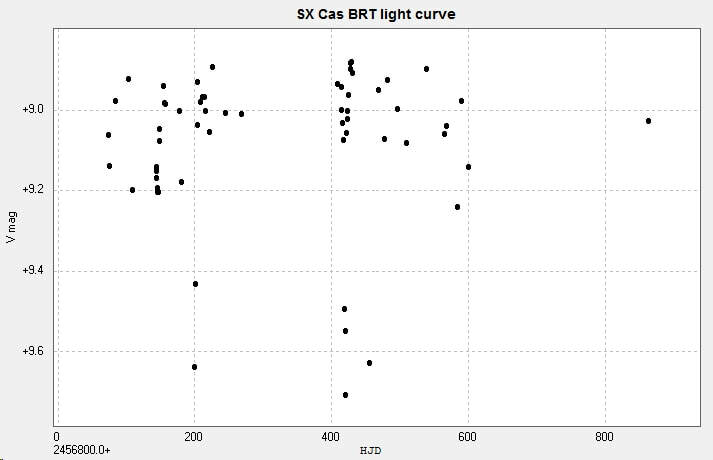 More observations needed.